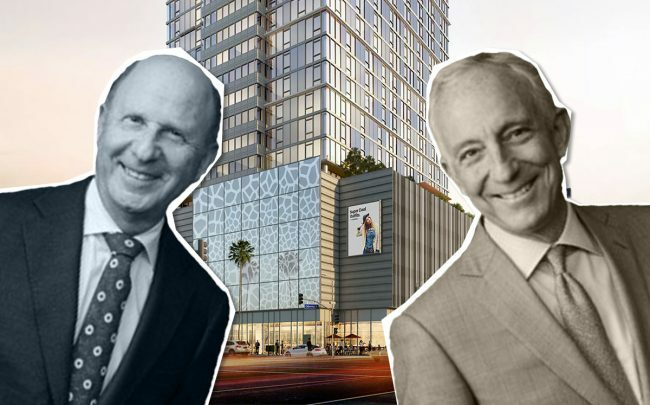 GPI Companies’ plan to replace the legendary Amoeba Music store in Hollywood with a 26-story apartment tower was approved with a couple of key caveats. The Los Angeles City Planning Commission voted to support the firm’s 200-unit plan provided GPI redesign its parking component and designate its affordable units for those most in need, Curbed reported. Located at 6400 Sunset Boulevard, the proposed tower would include 7,000 square feet of retail space. As it stands, the Johnson Fain-designed building would hold 277 parking spots at an above-ground podium structure. GPI paid Amoeba’s founders $34 million to acquire the site in October 2015. It is still unclear where in Hollywood the music retail store will relocate. Last week, commissioners requested GPI comes up with a way to hide some of the parking from view. Commissioners also requested the 10 affordable units already set aside be reserved for extremely low-income residents.